Two of the largest banks in northern Europe announce they will boycott Israeli banks because they operate in “occupied territories”. Two of the largest banks in northern Europe have announced they will boycott Israeli banks because they operate in “occupied territories”, the Walla! Hebrew-language news website reported on Saturday. The two banks in question are the Swedish Nordea Bank, which is the largest bank in Scandinavia, and the Norwegian Danske Bank, which is the largest bank in Denmark. Danske Bank, which serves five ​​million customers in Denmark and Northern Europe , publishes on its website a list of companies which are boycotted for legal and ethical reasons. 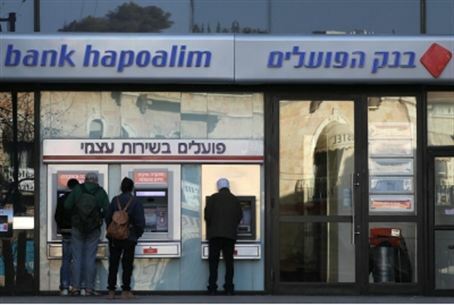 Two weeks ago the list was updated and, according to Walla!, for the first time it includes an Israeli bank - Bank Hapoalim . The Danish bank already announced in 2010 that it was boycotting two Israeli construction firms, Africa Israel and Denya Cebus, because of their involvement in construction of Jewish homes in Judea and Samaria, but Walla! noted that is the first time that the bank announces a boycott of an Israeli bank because it has invested heavily over the Green Line and has branches in the region. At the same time, Nordea Bank has demanded that Israeli banks Leumi and Mizrahi-Tefahot immediately make public their operations in Judea and Samaria, the website reported. Europe has voiced continuous criticism over Israeli construction in Judea, Samaria and eastern Jerusalem, and several months ago published new guidelines which boycott Israeli entities operating beyond the 1949 Armistice Lines. Several weeks ago, Haaretz reported that Germany is conditioning research support and cooperation with Israel on the exclusion of Jewish communities in Judea, Samaria and eastern Jerusalem. The Walla! report comes on the same day that U.S. Secretary of State John Kerry threatened Israel that a failure in the peace talks would lead to global boycotts and delegitimization of the Jewish state. Economy Minister Naftali Bennett responded to Kerry’s threats by saying that Israel will never submit to economic threats. "I want to clarify to all those giving advice: the country has yet to be born that will give up its land because of economic threats, and we won't either," stated Bennett. "Only security will bring financial stability, not a terror state next to the Ben Gurion Airport."